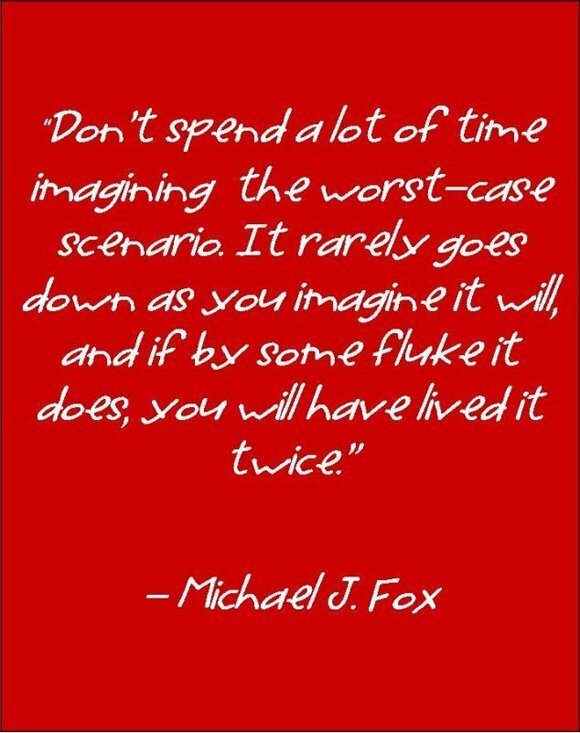 When things go wrong, as they sometimes will, don’t connect the dots forward and imagine that the worst will happen to you soon. This is a favorite human hobby: to conjure up worst-case scenarios and live in desperation and despondency. Consider this: Your project at work goes awry, results are poor and deadlines have been missed. Your boss calls you and gives you hell. On your drive back home, you review the conversation with your boss and fear you will lose your job. You get into your apartment and your spouse tells you that she has been having abdominal cramps. Your already embittered frame of mind now invites you to think pessimistically. You imagine she may be having the dreadful ‘C’ disease. As you plan to sleep, your worries magnify. What if I am asked to leave my job? What if my wife is diagnosed with cancer? How will we survive? You wake up in the throes of this negative thinking spiral and start work the next day; your anxiety further drives your performance into the ground. Your negative thinking will lead you to more crises during the day, week, quarter and onward. To flip your thinking switch and to break the negative spiral, you need to elevate your thinking. In Life’s grand theater, things will sometimes happen that you least expected or wanted and when you are least prepared for them. Such is Life. Don’t try to connect the dots forward or interpret each event or imagine the worst. The worst seldom happens. So, just live. Just be!